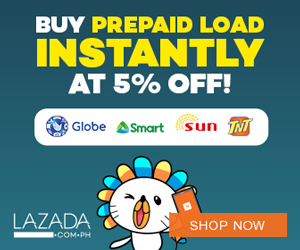 Air Asia Promo Fare 2016: We're giving you more reasons to travel this year until next year! 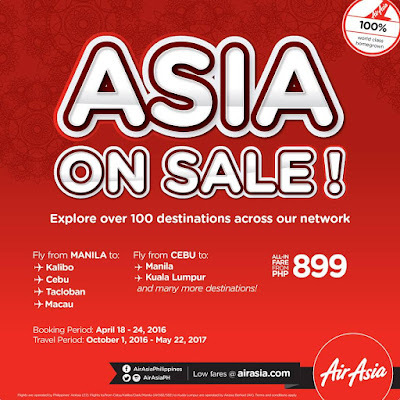 Book your trip with our AirAsia SALE from as low as P899 ALL-IN FARE! 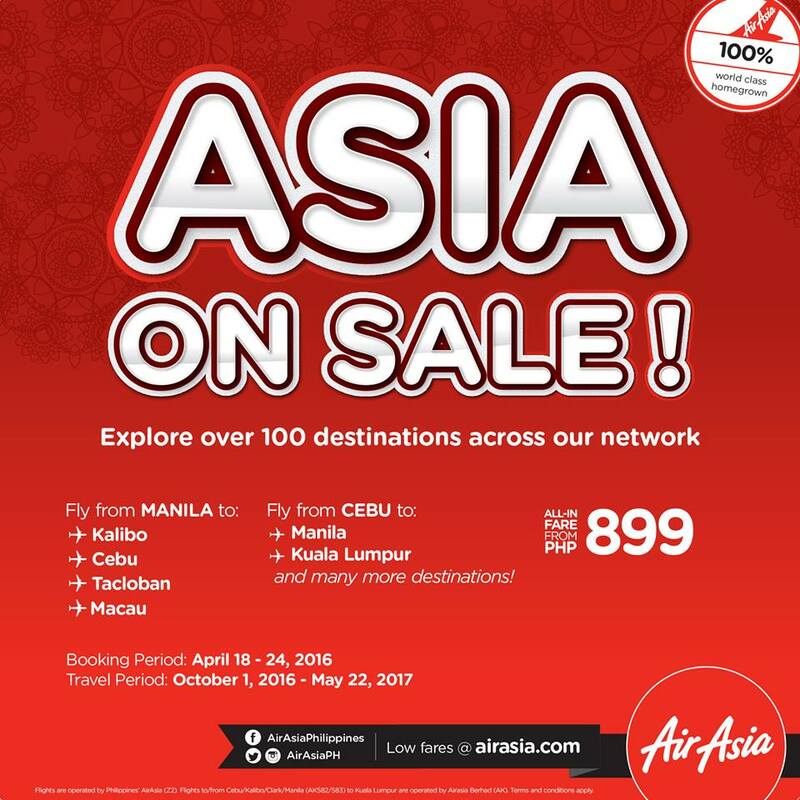 Fly from Cebu to Manila, Korea & Malaysia! It's another beautiful week to plan for your travels! Next on the list, ASIA! 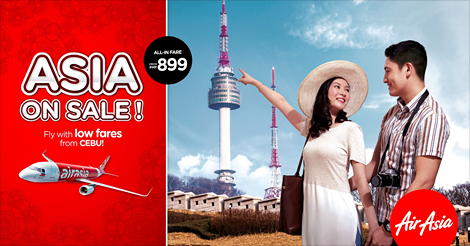 We're giving you our low fares at http://bit.ly/AirAsiaPH_AsiaonSALE to explore our neighboring countries! Book NOW!